With just two days left until the 29th Annual Hunger Walk, the “Why I Walk” blog series concludes with some of the reasons YOU walk. Thank you for sharing your motivation with us on Facebook and Twitter. We look forward to seeing everyone at the Hunger Walk on Saturday! Lisa: I walk to help those who need it. You never know what curves life will throw your way. One day I, or a friend or family member, may need to utilize a food pantry. Being undernourished should not exist as a roadblock to reaching one’s full potential in our society. Rachel: I walk for the individuals and families who need it. Chicago Tribune Community Giving: There are too many people without food. This is a great cause to help others right here in our city. Mae: I walk because I don’t think that in 2014 people should be walking around hungry and homeless every day. Reginald: I’m walking because I appreciate the pantry giving me food! Monique: Stopping hunger motivates me to walk! Nessa: I know that it could be me on the streets, homeless and hungry. For this reason – it keeps me humble. Redeeming Grace Pantry: We walk because together, we can end hunger. 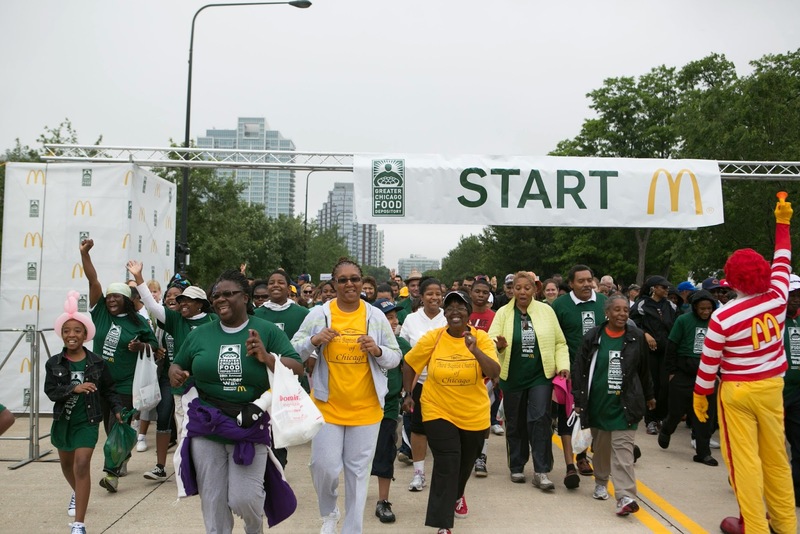 There’s still plenty of time to sign up for the Hunger Walk. Visit chicagosfoodbank.org to register or find more information. To see other entries in the Why I Walk series, click here.